LONDON--(Marketwire - January 23, 2008) - Spin3 (www.spin3.com)*, a leading provider of advanced mobile gambling solutions powered by Microgaming, the world's largest online gaming software provider, today announced that it is supplying 32Red (www.32red.com), online gambling specialists, with a complete mobile casino offering, allowing the company to reach a new audience and tap into the lucrative mobile gambling market. 32Red Plc operates the award-winning online casino 32Red.com as well as one of the UK's favourite poker rooms at 32RedPoker.com. Moving into the mobile gambling market is a logical strategic step for the company, who will be able to capitalize on the booming mobile entertainment market. 32Red will be using Microgaming's market leading GameWire system, a suite of award-winning, graphics-rich casino games including Blackjack, Roulette, and the famous Tomb Raider Video Slot, to create an exciting extension to their brand. GameWire can be tailored to suit the business requirements of any casino operator, mobile service providers and virtually any enterprise to launch their own fully operational mobile casino, creating a very rewarding additional revenue stream. Ed Ware, CEO of 32Red, says: "The deal with Spin3 and Microgaming means that we can extend our product base and enter a new and exciting field. This was an obvious move for us as we were already seeing demand from our users to play on the move. As such, we are keen to offer our players the flexibility of playing our trusted brand either online or on the go. "32Red's brand is built on the quality of our games and security that users can trust -- Spin3 and Microgaming were the best possible partners for this project as they match us on both scores." Matti Zinder, Head of Spin3, says: "32Red is a huge player in the UK gambling market and its move into mobile gambling is a big boost for the industry. With Spin3 it's incredibly easy to add mobile gambling to your existing offering, adding an extra revenue stream and access to a new audience. We expect other gambling organisations to follow suit as they realize the profits to be made by moving into this space." GameWire has an exciting user interface, and full, easy-to-navigate Java menu system. End users will be able to download the mobile casino application for free and deposit money by debit or credit card to start betting. * - Spin3 is a division of Spiral Solutions Ltd.
32Red is an award-winning online casino and poker operator licensed, regulated and based in Gibraltar. For the past 4 years 32Red has been named 'Best Casino' by Watchdog and Player Advocate site Casinomeister. 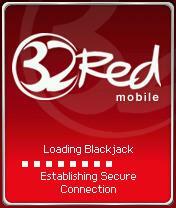 32Red were also voted as having the 'Best Casino Customer Service' for 2006 by Gambling Online Magazine. 32Red attracts players from around the world but has a predominantly UK player base, with 83% of customers at 32Red Casino and 32Red Poker registered as coming from the UK & Ireland. In July '06 32Red became the official club sponsors of Aston Villa FC, in a seven figure deal that sees 32Red.com don the club shirts for the 2006/07 and 2007/08 seasons. Spin3, a division of Spiral Solutions Ltd., has partnered with Microgaming, the world's leading developer of online gaming solutions, to provide turnkey solutions for the mobile gaming arena. The complete offering includes dynamic wireless real and play-for-fun casino systems, flash casino, marketing services and innovative technologies that push the interactive gaming industry to new frontiers. Since the company developed the first true online casino software over a decade ago, it has led the industry in providing innovative, reliable gaming solutions. Thanks to an unrivalled R&D programme, that averages 60 games per year and a unique 'partnership' approach to working with operators; Microgaming powers 120 of the world's most profitable casino sites, delivering over 350 games. The Microgaming Progressive Jackpot Network is the world's largest progressive and has paid out a record $225m plus in the last four years. 32Red players can now take their game on the go with the market-leading GameWire suite of award-winning, graphics-rich mobile casino games.